Two workshops are included with Camp Vaudeville Tuition or $20 per workshop if paid separately. 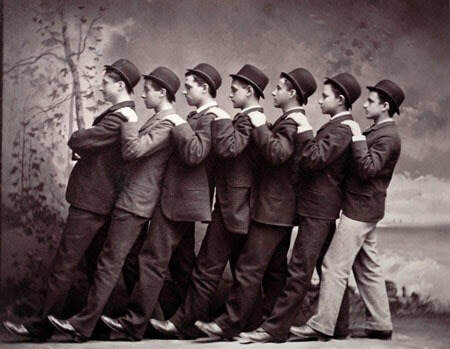 Camp Vaudeville is a summertime apprenticeship in theatre arts, as the theatre was seen in the day of Vaudeville (late 19th-early 20th century). Culminating in a REAL vaudeville show, the camp is designed for children who will have completed first grade through eight grade. Classes will be divided by experience (for returning) and/or ages. Camp Vaudeville will be held July 8-16, 2019, with classes taking place Monday through Friday of the first week and continuing into the following week for two days only. Classes will begin each day at 8:30 AM and end promptly at 12:30 PM. Campers will give their very own vaudeville show called Vaudeville Visions on Tuesday evening, July 16 at 7:00 PM. Enrollment is always limited. Cost of the camp is $140 per child. If you are interested in attending this year’s camp, apply above or call the Smoot Theatre for more info. Fun, two-hour workshops covering some of the essentials. Drama, movement and music, as well as entertaining theatre games and an audio-visual presentation that will help prepare kids of all ages who have an interest in theatre.